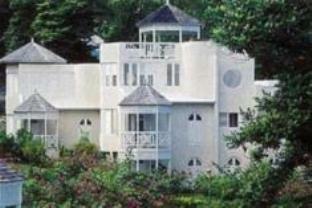 ﻿ Best Price on Columbus Heights in Ocho Rios + Reviews! Featuring an outdoor swimming pool and a garden, Columbus Heights provides accommodations in Ocho Rios with free WiFi and sea views. Guests staying at this apartment can use the fully equipped kitchen and a terrace. With 2 bedrooms, this apartment has a balcony, a living room and a flat-screen TV. The apartment also has a bathroom. Dolphin Cove Ocho Rios is 1.6 miles from the apartment.